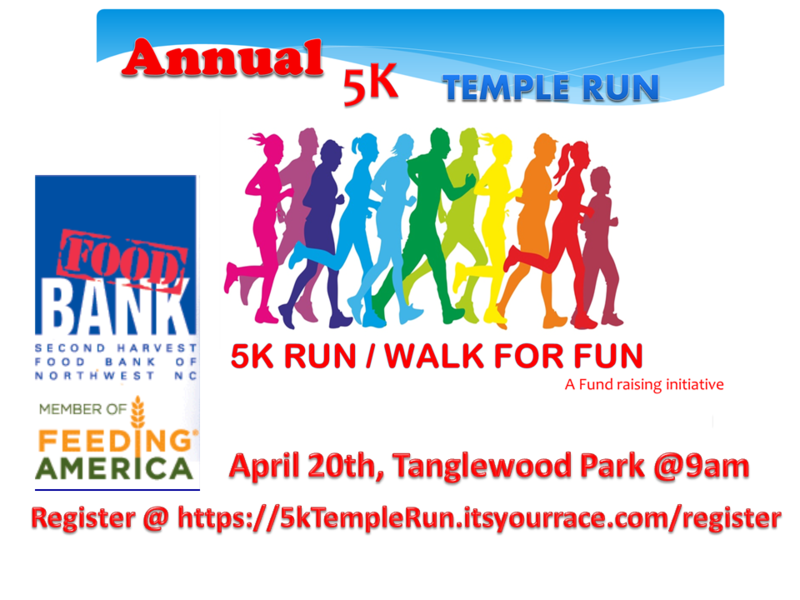 The 3rd annual Temple 5K run will be held at the Tanglewood Park, Clemmons NC. 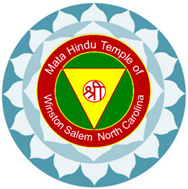 It’s not just a race, but an event to strengthen and support our community and raise funds for a nonprofit 501 c(3) organization, Om Hindu Organization of Winston-Salem, NC. Special Award – We are also introducing a new award “ Raj Arora Memorial Award” in memory of Mr Raj Arora,one of the great supporter of 5K Temple Run. This award will be given to the overall winner of the race. The purpose of this event is to create awareness and promote a healthy lifestyles across the community – a healthy body and mind are prerequisites to a blessed life. Some of our proceeds will go to Second Harvest Food Bank of Northwest NC. We are also doing a can drive for them. Financial support from community leaders is extremely important. It allows the organization to provide salubrious facilities for group activities and provide services to the community. 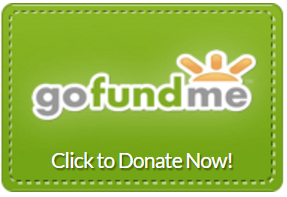 We greatly appreciate your continued support in sustaining our organization so we may benefit the community we serve. The course takes runners through the designated track in Tanglewood Park. Water stations are positioned approximately every mile along the course. The first aid tent and the restrooms are at the finish line. Fun Run/Walk is for kids under the age of 10 and senior citizens over the age of 65. This will be the same course as the 5K Run/Walk, which will have lots of people cheering on the participants. After the race, kids can enjoy different activities like face painting, balloon art and more. T-shirt.Discounts and promotions from area businesses/sponsors (found in the race packet). Finisher’s medal (5k runner only). Satisfaction of knowing that you helped to build a stronger community and/or raising funds for a noble cause. Top 3 finishers will get a signed certificate along with the finisher’s medal. No group discount, however you can form your own group.